Chorley based Our Vault Ltd have been fined £70,000 by the Information Commissioners Office (ICO) for making calls to numbers registered on the Telephone preference Service (TPS) register. 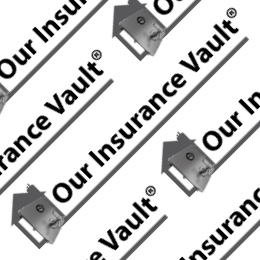 Our Vault Ltd also trades as Our Insurance Vault. Recognise that although Our Vault called 55,534 numbers registered on the TPS, it was the 179 complaints that triggered an investigation. You could be unlucky enough to get 179 complaints from calling 179 numbers registered on the TPS. It’s not all about the volume of calls! Our Vault Ltd advised that their data was TPS screened prior to being put into their dialler, but then no further screening took place. You have to screen your data a minimum of every 28 days. That’s the law. Although Our Vault Ltd were clearly on the ICO’s watchlist, they continued to call numbers registered with the TPS and further complaints were received from consumers who were registered on the register. It seems that Our Vault Ltd dropped the ball or thought they could justify calling these numbers, but either way they got fined £70,000. In practice this creates a bit of a problem insofar as many organisations don’t seek specific marketing permission from their customers to be able to continue calling if they register on the TPS after they become a customer. “It gets boring sometimes repeating the obvious. If you’re unsure whether to TPS screen your data, then do it. Play safe. Although the fine is by far the biggest problem, it’s not the only problem. The extra work and pressure brought to bear by the ICO will take it’s toll (just talk to anyone who’s been fined) and the negative press can be unpredictable.